Mike and Jackie have been running photography workshops in New Zealand since 2004. Throughout that time their photography skills as well as their teaching and mentoring skills have continued to develop. Photography is a lifelong passion for both of them. Learning never stops. "We concentrate on developing your camera skills and craft. It’s important to know how you camera works and how to get the most out of it. Our aim is to help you develop your own personal photographic aesthetics. By the end of the workshop you will have an educated opinion regarding what makes a 'good' photograph and why. We teach you our visual language and encourage you to develop your own. In 2004 at the Hermitage Hotel at Mount Cook they married. Those who attend their photography workshops become part of this passion for life and photography. Jackie Ranken is an Australian born, multi-award winning landscape art photographer now living in New Zealand. She has over thirty five years’ experience within the visual arts and has been an international awards judge since 2002. She learnt her craft by working within the photographic industry as a darkroom technician, freelance and sports photographer, wedding photographer, commercial photographer and photojournalist. In 1996 after gaining her Associate Diploma in Fine Arts she began working as a teacher of ‘Fine art’ photography. She combines her art practice with teaching and is a presenter in workshops and seminars internationally. Exhibiting and instructing nationally and internationally. Her passion is the creation of multi-layered narratives via in camera multiple exposures and intentional movements. She is a Canon Master and Eizo Ambassador. 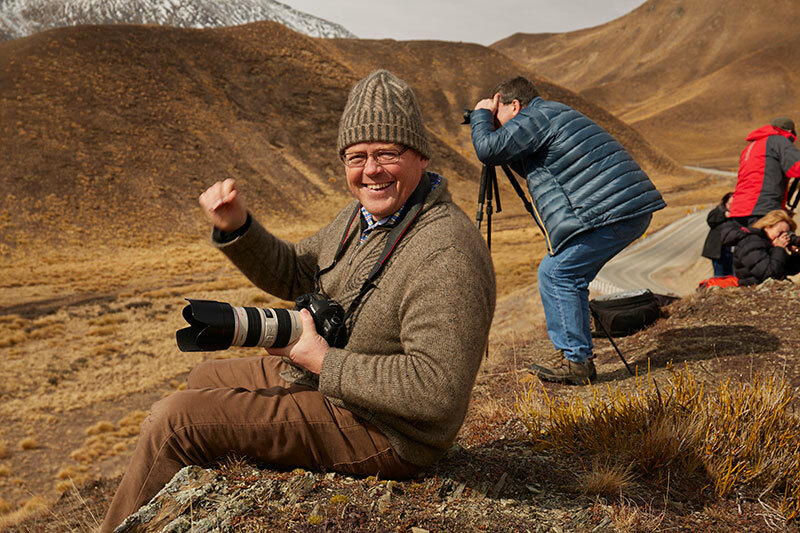 Mike has 35 years’ experience as an international professional Photographer and has lectured and given workshops to professional photographers for over 20 years. He is a passionate and patient teacher to all levels of photography and through all of the photographic disciplines including: landscape, portraiture, architecture and commercial photography. Mike's approach is one of research and understanding the requirements needed to successfully communicate an idea. He has published over 20 books, with more to come. Together, Mike and Jackie have created a series of field guides for photographers to take along on their own adventures. They cover everything from finding the ideal location to mastering the settings of your camera. The spiral bound book is the ideal size to fit into your camera bag and almost as good as having Jackie or Mike in the field with you!